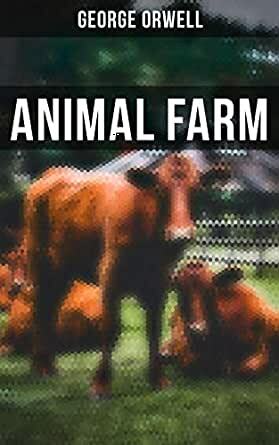 This eBook edition of "ANIMAL FARM" has been formatted to the highest digital standards and adjusted for readability on all devices. Animal Farm is an allegorical novel which reflects events leading up to the Russian Revolution of 1917 and then on into the Stalinist era of the Soviet Union. Old Major, the old boar on the Manor Farm, summons the animals on the farm together for a meeting, during which he refers to humans as "enemies" and teaches the animals a revolutionary song called "Beasts of England". When Major dies, two young pigs, Snowball and Napoleon, assume command and consider it a duty to prepare for the Rebellion. The animals revolt, driving the drunken, irresponsible farmer Mr Jones, as well as Mrs Jones and the other human caretakers and employees, off the farm, renaming it "Animal Farm". They adopt the Seven Commandments of Animalism, the most important of which is, "All animals are equal".